In Northern Ontario a drone pilot was able to record this unique moment, resulting in a stunning video. The wolf must have been starving to attack a fully-grown adult moose. Especially considering the risks it was facing to get injured. Notice how the wolf initially tried to attack the moose’s hind legs, trying to prevent it from running or kicking. Upon the second try the wolf is able to get a hold on a front leg, being very vulnerable for the ‘rib-breaking’ kicks from the hind legs. Even when the moose tried to escape after the fight, the wolf chased it through the water for quite a distance. Yet this time the wolf had to accept his defeat and find another meal elsewhere. The video is a great example of how wolves may attack prey that are several times larger than itself. Also it shows the wolf’s agility, endurance and perseverance when it comes to hunting down large animals. In the Canadian wilderness, the moose is one of the biggest prey a wolf can hunt. 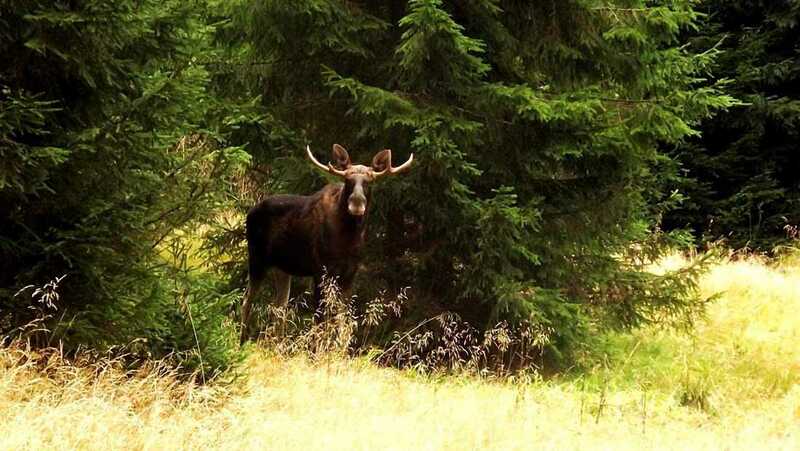 In Europe, the number of moose is relatively low, while smaller and easier prey like roe deer are abundant. Wolves usually perform well-considered attacks, after analysing the situation to identify the weakest prey. In some cases the wolf ‘spies’ on potential prey for a longer time prior to the attack. A record from France shows this can even take up to two weeks. The fleeing prey often trigger the start of the actual attack. In this case often done by the sick, weak and older animals. By taking out these animals, the wolf acts as an ecological engineer, restoring natural balance. This benefits Wilderness again and can improve the health of forests. You’ve got to give that wolf credit. Man, he/she just didnt give up for a long time. True grit!